If you’ve been following along from Day 1 on Project Corvette, you probably recall us saying something about how we planned to run the car in stock form for most of 2018. Well, we didn’t. And one of the main reasons for that is the splendiferous crapularity of stock C5 seats, and the bus-sized steering wheel. A C5 cockpit is simply not a great place to go about the business of driving, and that’s sad, because everything else on the car works so well. So we quickly changed plans, yanked the stock seat and steering wheel and did some proper upgrades. 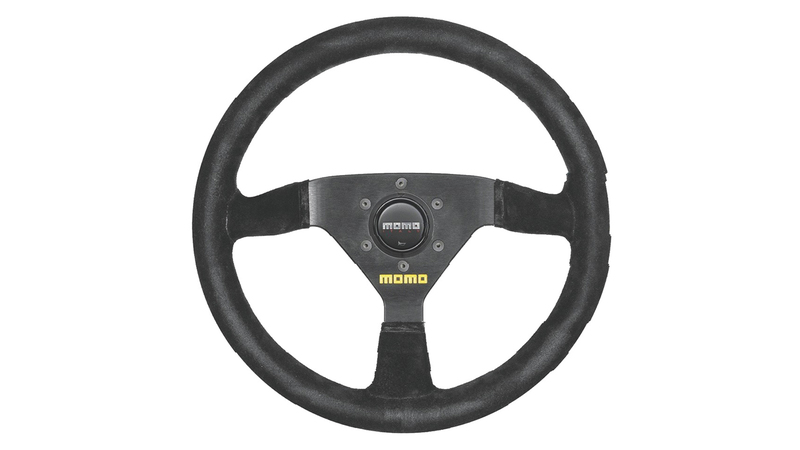 For the wheel, we used a MOMO model 69 suede steering wheel, which is an exceedingly comfortable and proper way to control a car of such capabilities. To mount it, we bolted it to an NRG SRK-170H short hub, which interfaces with an NRG SRK-200 quick release. 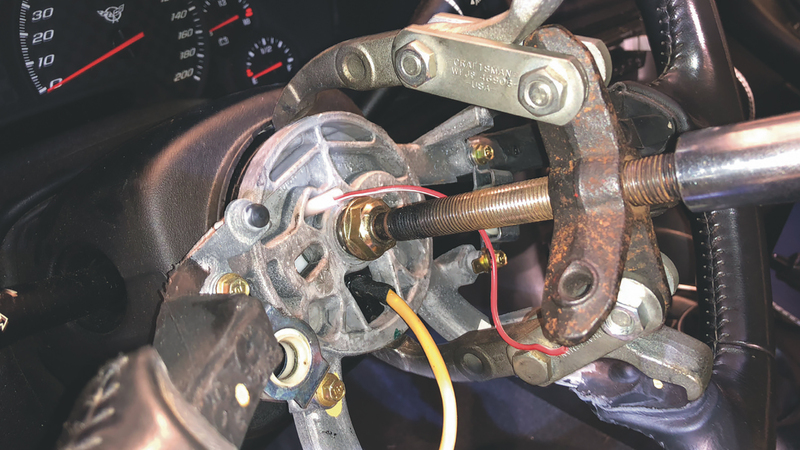 Pulling the stock wheel requires a special GM-style puller that has arms that extend into the hub of the wheel right near the center. DO NOT try and pull the wheel with a jaw-type puller. You run the risk of breaking the wheel, leading to further disaster and complication. 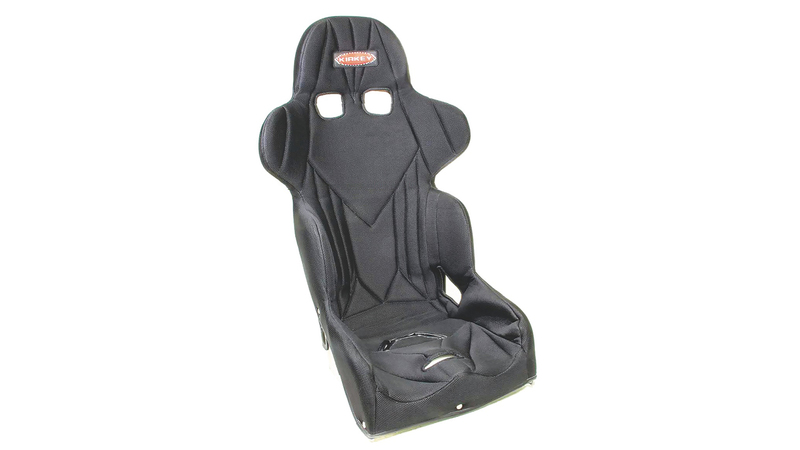 For a seat, we went with an 18” Kirkey model 47 aluminum racing seat. Aluminum seats are extremely easy to work with when it comes to mounting, as the wings and bolsters can be subtly reshaped or bent to better fit the interior of the car, unlike a composite bucket seat. Mounting a seat in the tight confines of a C5 interior can be tricky, but thanks to the AMT Super Low seat mount it was actually a breeze. 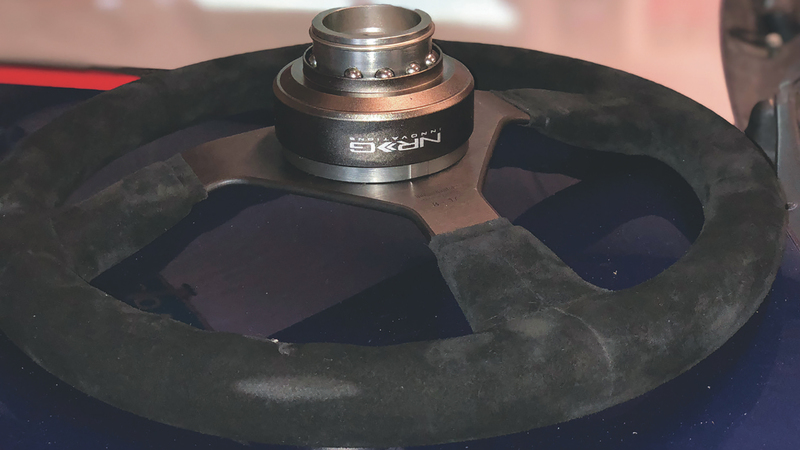 mark Petronis of AMT is a C5 racer himself, and designed the mount when he couldn’t find a suitable solution for mounting a quality seat in his own car. 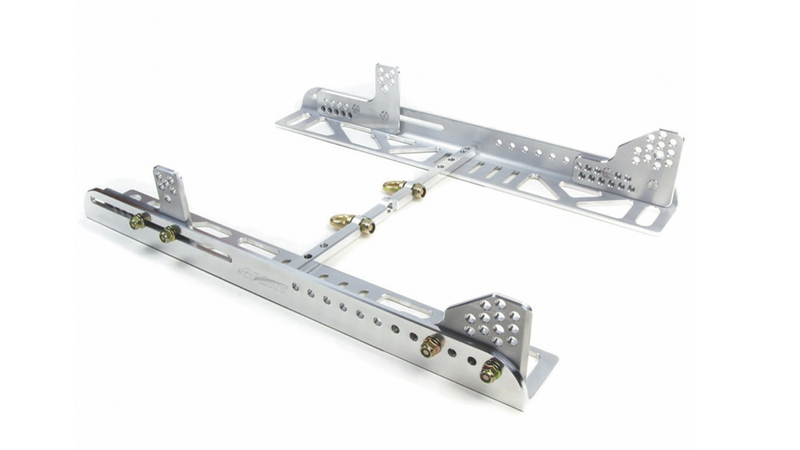 It’s adjustable in about a zillion ways, accommodates a huge variety of race bucket options, and bolts directly to the stock set mount studs using some clever machined stud adapters. And, as the name implies, it solves one of the inherent problems of the C5 seat, that being its extreme height. The Super Low mount allows you to mount a race bucket practically touching the floor, creating a for more proper wheel/seat/pedal relationship. Check out our full feature on the interior makeover in the August 2018 issue of Grassroots Motorsports.